Yesterday I cut a lot of blanks for training from some 2x6 and 2x8. 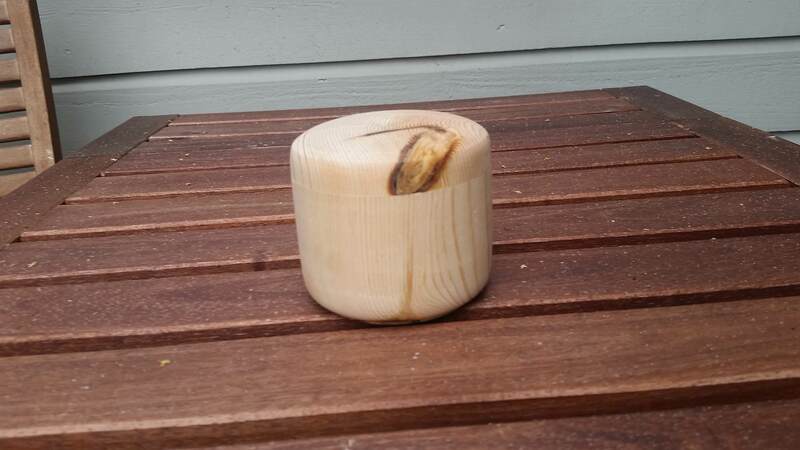 Also laid my hands om some off cuts of 4x4, and turned one of those into a small candle holder this morning - hollowed out the inside both to reduce the weight and get some experience doing end-grain hollowing. Nice and creative hobby, Hans! 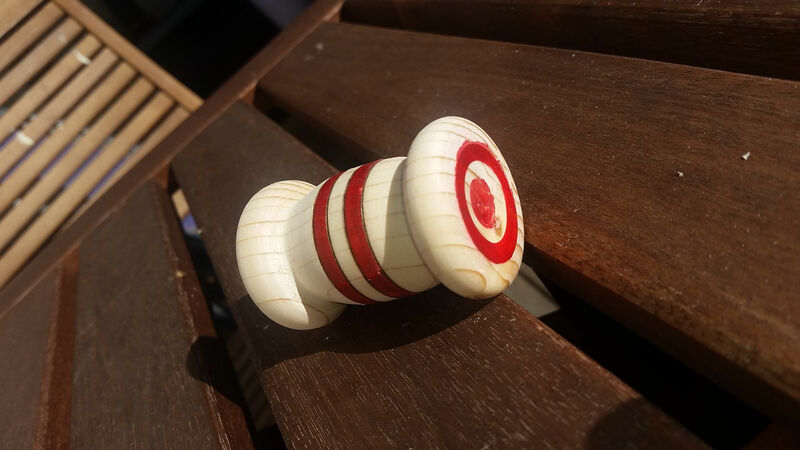 Another decent result Im satisfied with. 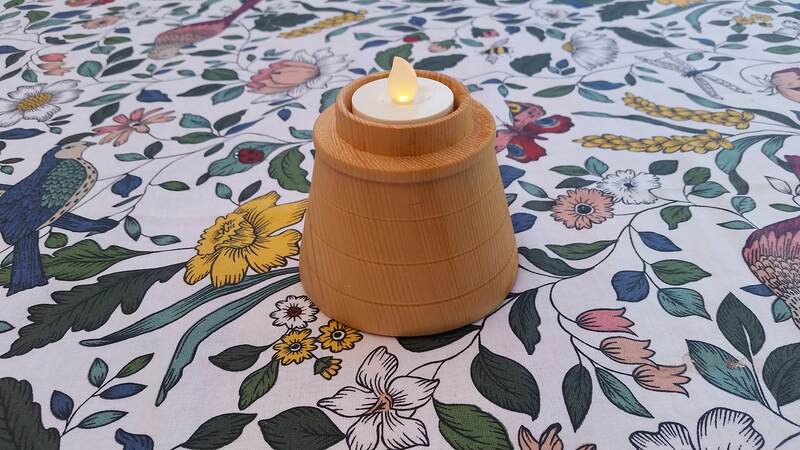 Made from a piece of spruce construction lumber, 2x6, coloured with a permanent marker and finished with mineral oil. 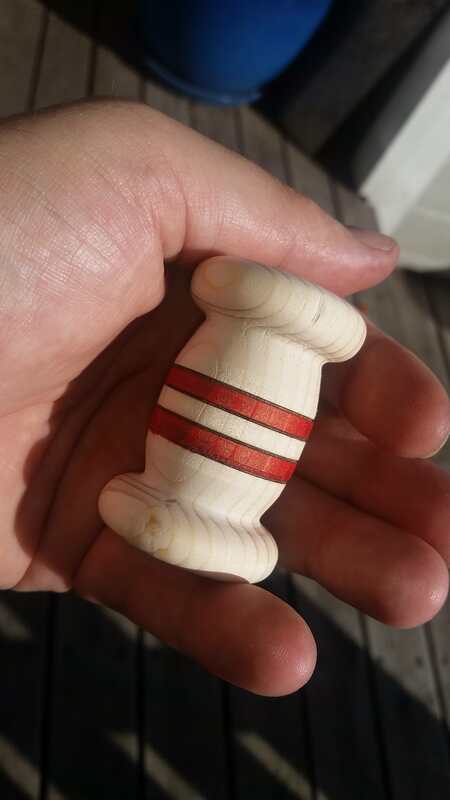 Brush handles will be attempted when I get my hands on proper stock to make them from... the construction lumber spruce in 2x2 I had was simply to cracked and too soft to do much with. 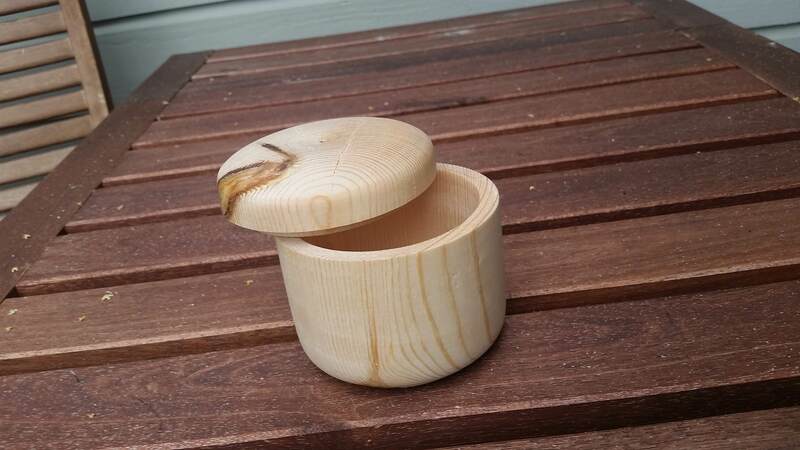 In the mean time, my latest successful project is a lidded box made from a piece of 4x4 spruce, unfinished. Quite happy with the lid; if fits securely and comes off with a satisfying pop. 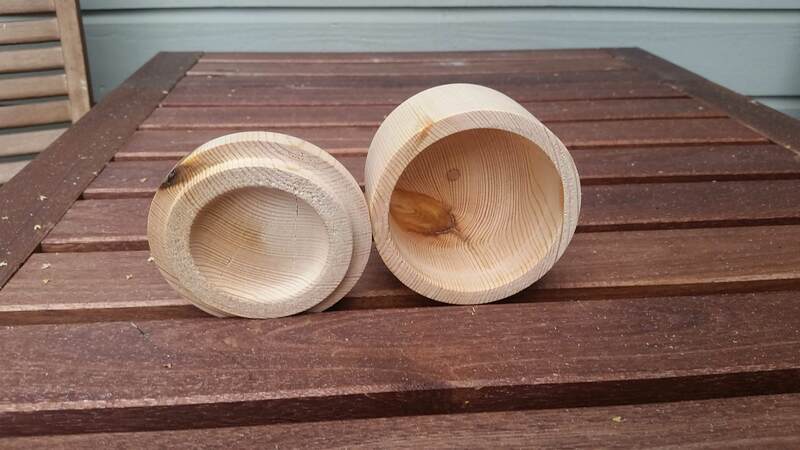 A shorter version could work well for keeping shaving soaps in, if I can find a waterproof surface treatment that is food safe - I don't want to put solvents and other "fun" things near my soaps. Hans, your skills are developing rapidly. It seems you’ve really taken to your new passion. 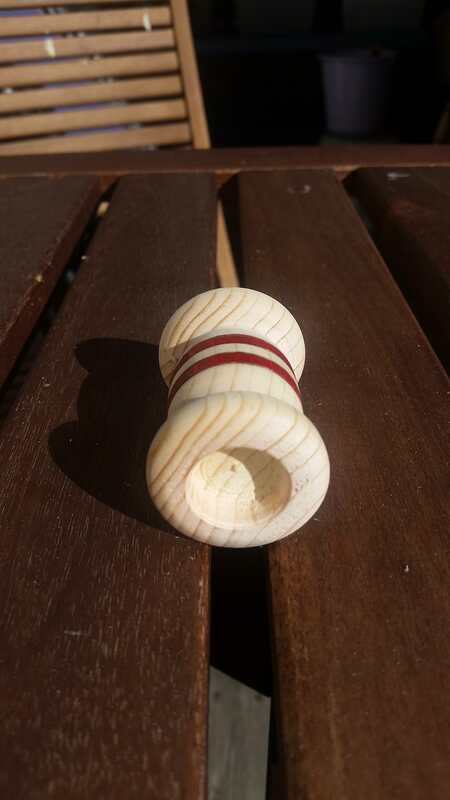 I will continue to follow this thread as you delve deeper into turning. Have fun! 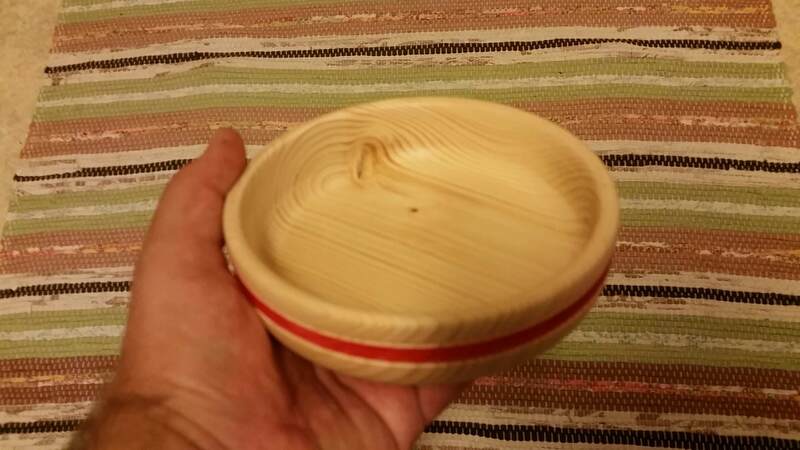 I find that turning is great fun, and I can turn a small box or a bowl in an hour or so.. a great way to relax that don't take a lot of time or too much space. It's rule #1711 of the forum bylaws....and human nature. 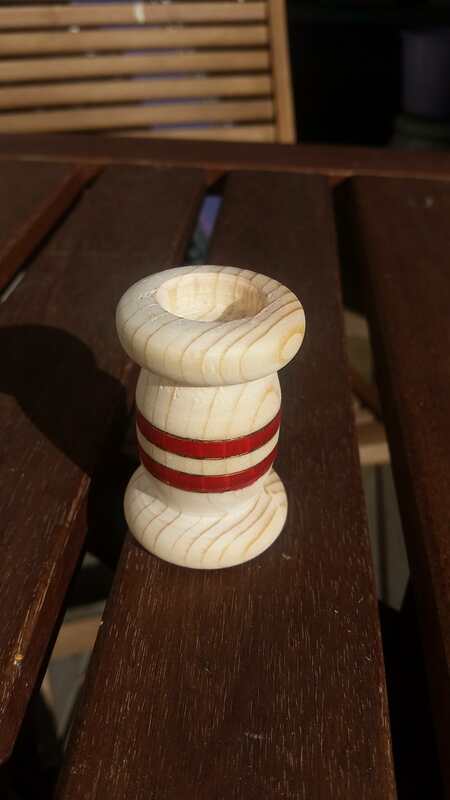 Have you/ are you going to stain it, knot it ? (09-03-2018, 03:02 AM)zipper Wrote: Have you/ are you going to stain it, knot it ? Not that one, no. 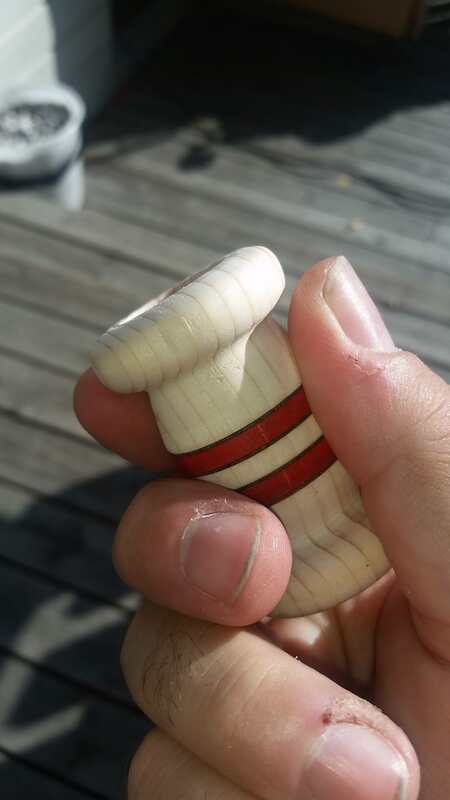 In retrospect I'm not happy with how it sits in my hand, and I have no loose knots at the moment. 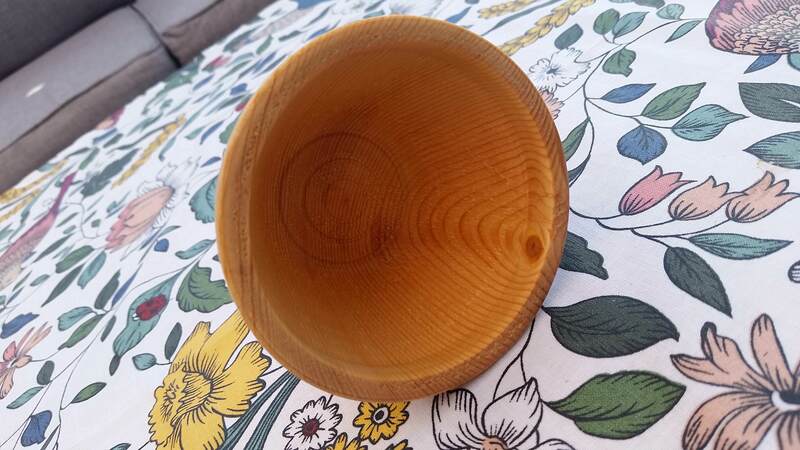 I do see how to improve the basic shape however, and I want to try a CA-finish - that should work well even on spruce. Thanks for sharing your learning progression. (09-03-2018, 05:17 AM)zipper Wrote: Ok....All that is fine. 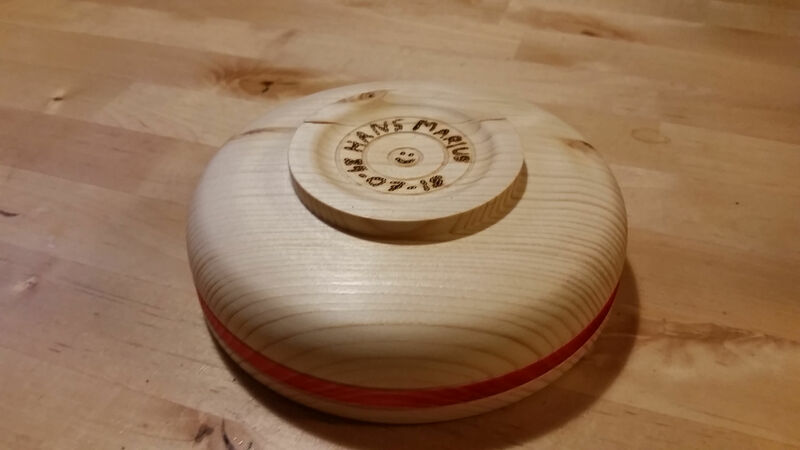 Hans, are you staying with wood, or will you transition to resin?